Designed specifically for the 20" x 25" Honeywell F300, F58F and F50F. The prefilter and carbon filters are the full size of the air cleaner and not split in pairs like the original Honeywell filters. 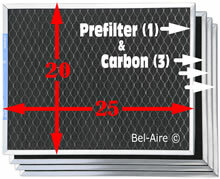 One Permatron prefilter replaces the pair of original half size prefilters. The Permatron prefilter significantly improves the capture of the larger 10+ micron particulate. By effectively removing this larger particulate, the collector cell more effectively captures the smaller particulate. The improved capture of large particles will reduce the occasional spark. Also the need to wash the cells will be extended. The Permatron prefilter has a low 0.09 wg air resistance making it interchangeable with the metal mesh at 0.07 wg. A quick cleaning of the prefilter is recommended once a month. Simply vacuum or rinse with a hose. Washing the cells would be recommended every 6 months. See brochure for more info. Permatron's activated carbon absorbs odors and fumes. Whereas the collector cell captures particulate, the carbon captures noxious gasses. Permatron charcoal filters exceed manufacturer specs with 14 grams of carbon per square foot along with a low 0.06 wg air resistance. The carbon is finely ground resulting in over a million square feet of surface area. The carbon is impregnated into the filter media and heat set. There are no loose granules, the filter can be rinsed or vacuumed. Vapors are pulled by molecular action in to tiny pores and held. In manufacturing the carbon, the activation process creates millions of micropores. The pores are sized and formulated to remove common household VOC's. Permatron prefilters and carbon filters are constructed with a rugged galvanized steel frame. The frames do not easily kink or push out of square. They are not flimsy like the Honeywell brand. 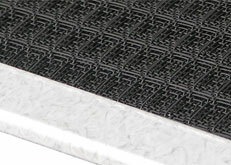 The prefilter polypropylene weave is gripped solid by the steel frame. Very good quality. Permatron filters are made in Illinois. 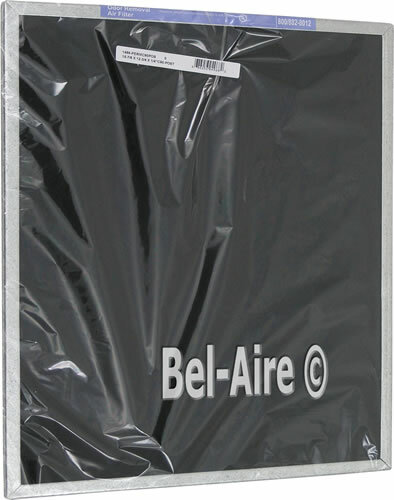 The foam, activated carbon, poly-propylene, aluminum mesh and steel frame are all products of the USA. The genuine Honeywell prefilters are stamped with Product of Mexico.